There are so many reasons and points in your little Bruno’s life where you may need to switch his diet! Maybe he has put on a few kilos and needs to go on a weight loss plan or has developed a food sensitivity warranting a food switch. Perhaps his favourite food went out of stock and you have no option but to change brands! Sometimes, even a lifestage change e.g. moving from an adult to a senior diet is warranted based on your dog’s age, health and energy levels. 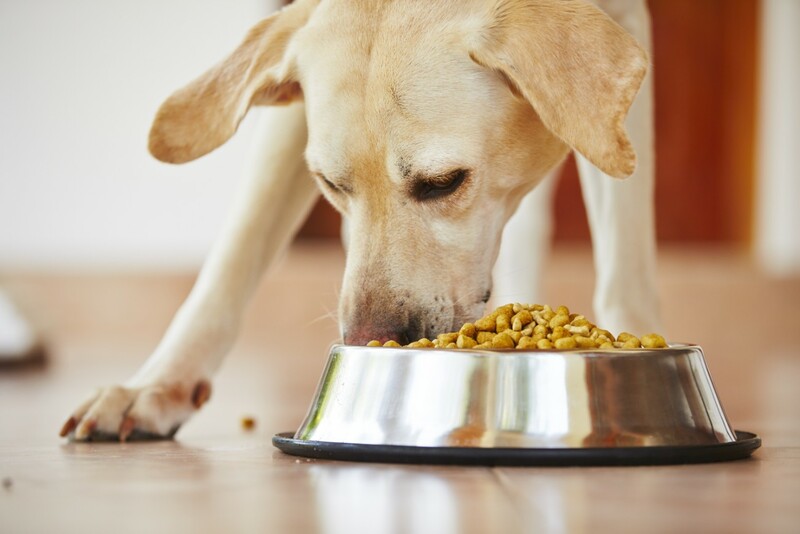 One the most common reasons though that pet owners change their dog food is when they want to upgrade to a top quality nutritious food to give their pet the best possible chance to live a long and healthy life! Irrespective of the reason, the tips below will help you make the switch in diet smoother for your pet and prevent upset tummies while doing so. Always remember that each animal is different, so if your pet is experiencing an upset tummy (mainly loose or very smelly stools), increase the transition days and allow his body to take time to adjust. Throw in some Probiotic power! There are several probiotics available in the market, which you can add to your pet’s food or give directly, especially during this transition. This will help his gut flora (the good bacteria in his tummy) adjust to the new food and help in preventing the upset tummy. If you are aware that your pet is sensitive to a particular ingredient, make sure you’ve read the new food label to make sure it is not present in the list. Avoiding ingredients that your pet is sensitive to will make the food transition smoother for you and your pet. Some premium quality foods are more calorie-dense. This means there is more goodness packed in smaller quantities of food. It is important to check the maximum daily allowance for your pet’s weight, or else you may end up overfeeding your dog leading to upset tummy or even worse, unnecessary weight gain! Premium quality foods may have fresher and yummier ingredients and this is going to really excite your pet! He may want to gobble up his food faster than usual which may upset his digestion. Make sure you serve your pet his new food in lots so he knows it is coming daily and won’t eat in a hurry like a treat. Sometimes dogs may experience diarrhea or vomiting during food transitions. This is not uncommon and you must not panic unless the diarrhea or vomiting is more than once after a meal. It can be due to a change in fiber levels or protein or the fact that he is voraciously gulping down his new food. Our pet’s bodies need time to adjust to new food just the same as ours. So now you’re ready to make a switch in your pet’s diet whenever the need arises! Remember that providing your pet top quality nutritious food is the best thing you can do to offer him a long and healthy life because after all, you are what you eat!